I love interior design so it’s no wonder why I have been designing for over 25 years’ and have numerous awards both nationally and internationally. Not only does this show my passion for design but also that I understand my clients wishes and create spaces that are visually beautiful. Every client is unique and my approach to every design is tailored to ensure the space is perfect for their needs. All my projects are bespoke whether it is a kitchen, bathroom or a full interior space. I’m available for work world-wide and my charges vary depending on the size of the project, which I discuss with you at your first hour free consultation – with no obligation to proceed any further. Auckland based design duo Borijan Milic and Kylie Willett were inspired to start their own firm and in 2015 formed Verso Architecture + Interiors. With varied yet complementary backgrounds they share the same desires to create an atmosphere that is custom to their clients needs and wants. Verso Architecture + Interiors is a boutique Architecture and Interior Design practice that focuses on creating a life within a building, providing innovative design solutions for their clients. Residential or Commercially focused, no matter how large or small the project. We provide a customised Interior Design Service to those who are looking to undertake a very special renovation or to build a new home. We have extensive knowledge in the design industry and can assist you in your decision making of colours, fabrics, furniture and cabinetry selections. Using reputable manufacturers and retailers we are able to obtain the best possible prices for our clients, plus greater control over the entire project. Thus saving our clients time, stress and money. 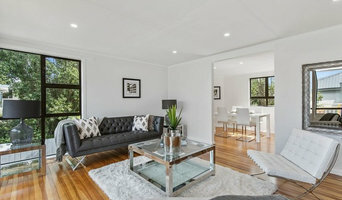 Auckland Home Staging is your best choice for staging properties to accelerate the selling process and increase the value of your home. Our focus is on staging solutions that are stylish, but cost effective for the seller, and spark buyer interest. We’re experts in bringing out the best features of your property. Spin Design is Auckland's specialists in space planning and interior design. We strongly believe that design can make a difference in people's lives, by enhancing quality of life. Space Planning defines the relationship between rooms, spaces and physical features. It also defines how people will move through the spaces and the activities that will take place in them. The arrangement within rooms and the flow from one space to another make a difference in the feel and functionality of the environment. Interior Design on the other hand is all about how spaces are experienced. In essence, interior design is crafting comfortable, functional and beautiful spaces that anticipate the needs of their occupants and appeal to their emotions. L'adorabelle is an design studio that specializes in designing sophisticated custom interiors for little clients. Founded by Chaz Reid who had a strong belief that children's spaces should be polished, considered and function as kids do. We create interiors for little people that are loved by them and the adults; that have the ability to grow and transmute as they do with only simple adjustments. L'adorabelle has become the go-to for all things kid in New Zealand. Royale Kitchens is a small owner-operated business that prides itself on designing and manufacturing high quality custom-made kitchens, laundries, vanities, entertainment units and garage storage cabinetry. Our in-house design team will discuss your requirements with you and come up with a design for your project, specific to your wants and needs including working to your budget. Once the design and materials are carefully selected, the individual components are cut from NZ made high quality “moisture resistant MDF.” We then create the kitchen in our factory, exactly as it will be installed into your home. Appliances are installed to ensure everything is exact and correct ready for installation. At this point you are invited to inspect your new kitchen in our factory. Because of the careful planning, measuring, pre-assembly and highly experienced craftsmen, the main installation is usually completed in your home within 2 days. Benchtops are then digitally templated and fabricated. Approximately 10 working days later they are ready to be installed. A final return visit is made to install any on-bench cabinetry, toe-kicks and pelmets. After that, the kitchen is all yours to enjoy! Our showroom kitchens showcase the latest finishes, high quality hardware and cabinetry available. It is in the same premises as our factory so it is an 'active working site'. MAUD is an Architecture and Urban Design practice based in Auckland. Our residential work includes alterations and additions, new homes, and apartments. We’re passionate about design and delight in finding elegant solutions to complex issues. Creative thinking, attention to detail and functional performance are the basis for everything we do. We are committed to providing excellent service to our clients and have a broad range of skills that can manage your project from first inception to the completion of the construction process. With a wealth of diverse international experience, Neil McLachlan is recognized as one of New Zealand's leading interior designers. His non-prescriptive approach to designing sets him apart from many in the industry as he focuses on tailoring interiors to specifically suit the individuality of each client and their taste. 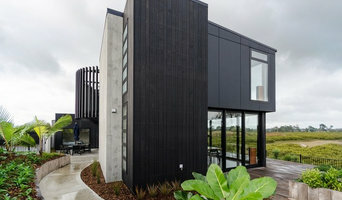 In the twenty years since returning to live in New Zealand from Europe, Neil has been commissioned to design and furnish many exciting projects, from CBD apartments and offices to rural luxury lodges and significant private homes, mostly in Australia and New Zealand but also further afield. Neil's skill set involves big picture master plans, architectural concepts for entire or partial buildings and their transformation. Interior specifications and detailing are documented to construction standard with project management as required. Very often custom furnishings are commissioned to ensure pieces are site specific and perfectly proportioned. Our extensive range of furnishing’s and experienced home staging stylists will transform your property, maximizing the sale price & reducing the time to sell no matter the style of your home. We create beautiful homes that people want to live in, we want to bring homes to life, to create an environment that people will love and want to make their own” The Distinctive Homestaging team specialises in incorporating the right furniture, colours, art, linen and accessories culminating in a unique staging of your home. Refresh Renovations West - DJH Renovations is a leading residential renovation company specialising in design and construction and bathroom renovations. We work closely with our clients to design and deliver the best renovation that is tailored to their lifestyle needs and budget. With Refresh’s end-to-end design-and-build renovation service, you can be assured of a hassle-free project. The first step of our journey working together is to understand exactly what you want to achieve in your home (including the reasons for your renovation). Our approach is to listen carefully to your requirements and to ask questions to ensure we understand exactly what you are looking for, what is important to you and why. From there, we'll analyse your project and assess its feasibility leading us to working drawings based on concept plans and budget decisions. You'll also work closely with our project manager to ensure everything runs smoothly. In addition, Refresh provides all customers with a 10-year workmanship warranty to ensure you have total peace of mind to go with your new renovation. Alpha 1 Builders are award-winning character home renovations specialists, based in Central Auckland. We are a family owned business and as parents of two little ones, we completely understand how busy life can get, and how overwhelming the thought of renovating can be. With that in mind, our aim is to make your renovation journey much simpler. To achieve this we approach renovating as a complete package. Under a 'design and renovate' experience, where we work collaboratively with architects from Drawn and interior designers Yellowfox to ensure the best unique design for your dream home renovation within your budget. Paul is your first point of contact and will guide you right through from design to the very last stage, council compliance. A Licensed Building Practitioner with over 21 years of building experience, Paul's expertise in renovations, extensions and additions is extensive. Our passion is to create dream homes that clients will love for years to come. This is why we hand pick our onsite building team and trades to ensure quality and experience on each and every renovation. We'd love to hear from you about your dream home renovation and take that first step to get your journey started. Paul and Kate Bateman. 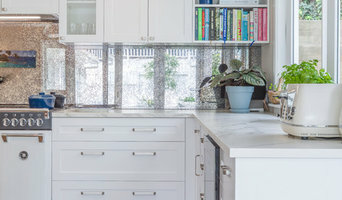 Inside Vision by Stewart Scott Cabinetry Ltd, is a kitchen design and renovation business that has been a family owned and operated for over 35 years. Our showroom and manufacturing plant based in East Tamaki, Auckland is one of New Zealand’s largest kiwi owned and operated kitchen businesses in the industry. We are able to offer the best New Zealand made kitchens at the most competitive prices. With a forte in manufacturing volume and DIY products, we also comfortably maintain a mid to high-end range of design solutions for both a trade and retail customer base. At Inside Vision, we proudly manufacture all of our beautifully designed cabinetry, providing a full kitchen, bathroom, laundry and entertainment cabinetry design through to installation. Our design services include a consultation with one of our talented designers either onsite or in the showroom, and ongoing project management to give you confidence in our ability to get the job done. We will work with you to design your space with creativity, functionality, and appearance in mind. Reach out to multiple professionals — especially for larger projects — and don't settle for the first bid you hear. Comparing multiple Herne Bay, Auckland professionals' bids and experiences can help you find the one that’s best for you. Ask a lot of questions now, so you won't have unexpected answers later. Find a home design professional: Narrow down your search by type of professional and location. Browse Herne Bay, Auckland portfolio photos, read client reviews and contact each Herne Bay, Auckland professional for more information. Check out the information in the specialised professional sections too for tips on how to hire the right professional in Herne Bay for your project.